Over a week and a half ago I got a day off and decided to take a little excursion, one I had planned (but failed to execute) for my birthday a little while back. The idea was to circle the Kinneret (Sea of Galilee) and to stop wherever looked interesting. My sister and a friend joined me, and off we went on the adventure. 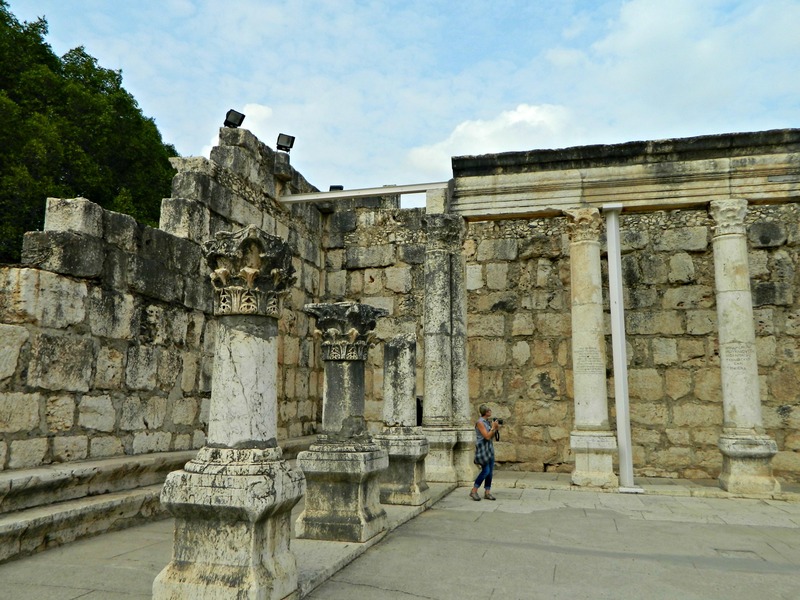 We were off to a rocky start, unaccustomed to driving a manual and stalling a few times, but before we knew it we were at Capernaum, at the northern end of the Kinneret. Continuing on to the neighbouring sites, we watched a boatload of pilgrims set sail, figuratively, for a nice boat ride on the Kinneret. 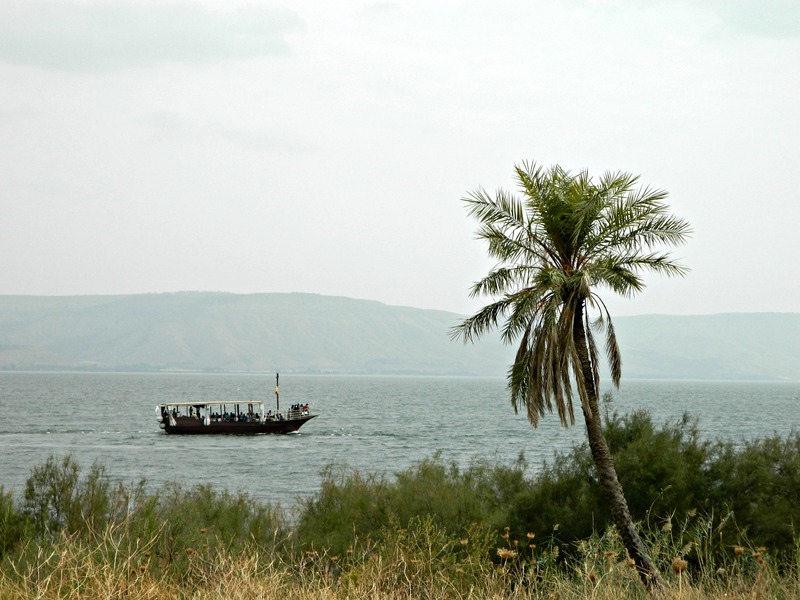 I’ve often wondered where to get a Kinneret boat ride, although I believe the general non-pilgrim rides originate somewhere in Teverya (Tiberias). 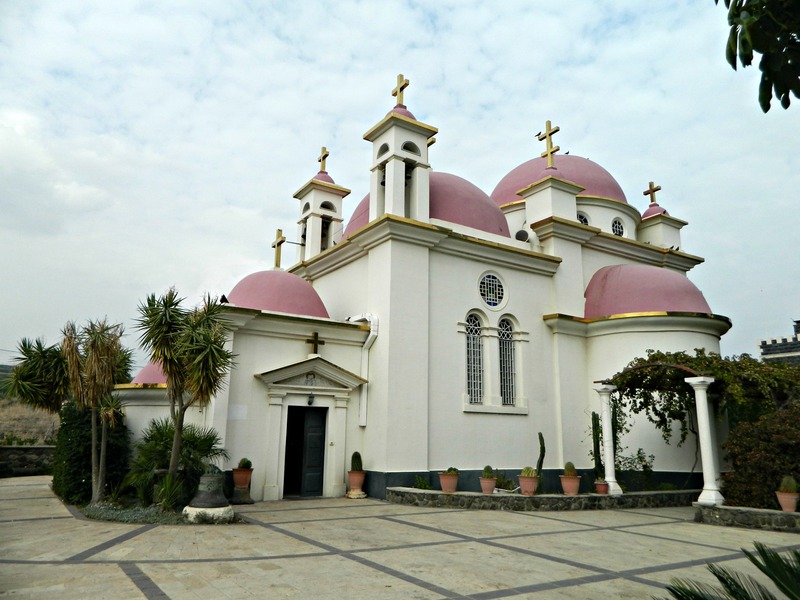 Between the little pier and the Capernaum site we found a eye-catching church, one that is quite visible from the road. Due to the overcast, the vibrancy isn’t quite what it is in person but here is the Church of the Seven Apostles, where we peered into the doorway and then headed back to the car. Coming back around the bend, at the southern end of the Kinneret, we pulled into the shopping centre at Tzemach Junction and got schnitzel sandwiches. Sated and ready for more adventure, we got back into the car and passed Kibbutz Degania and then Yardenit. Entering Teverya I once again found myself getting lost, although last time with a laden truck was far more inconvenient. 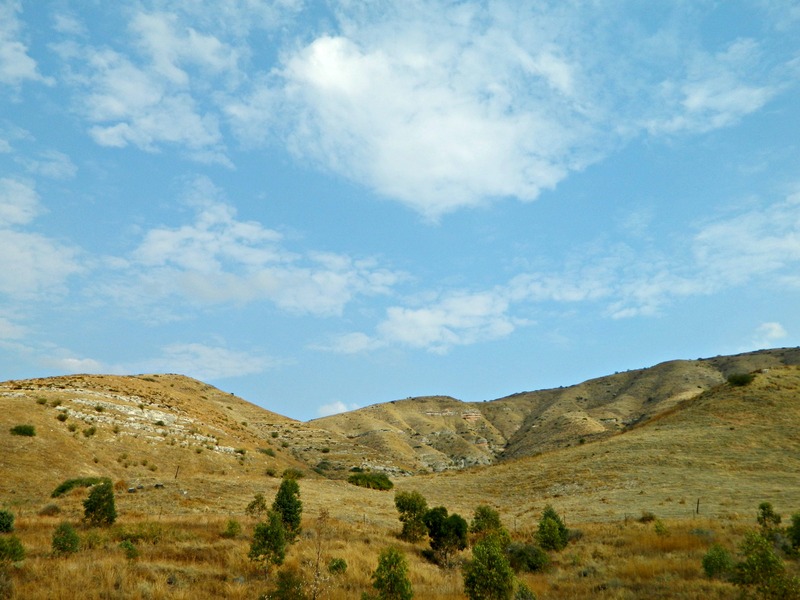 Activating the ever-handy Waze app, we directed ourselves through the congested and complicated city and onto Road 7717 heading for Mount Arbel. Driving up the mountains on the western side of the Kinneret I was surprised to suddenly see a sign that read “Sea Level” – it’s weird to think of the Kinneret so low in the grand scheme of things. 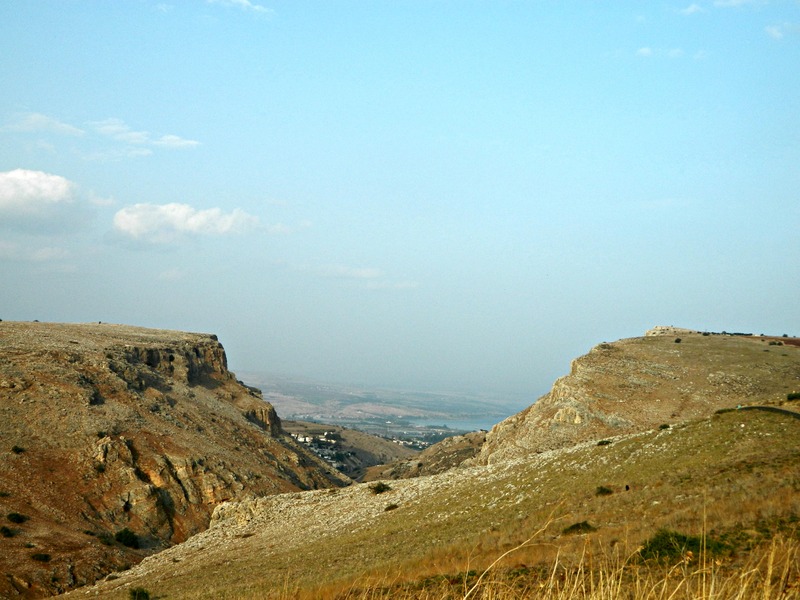 As we looped up to Mount Arbel this is what greeted us, Mount Nitai on the left and Mount Arbel on the right. 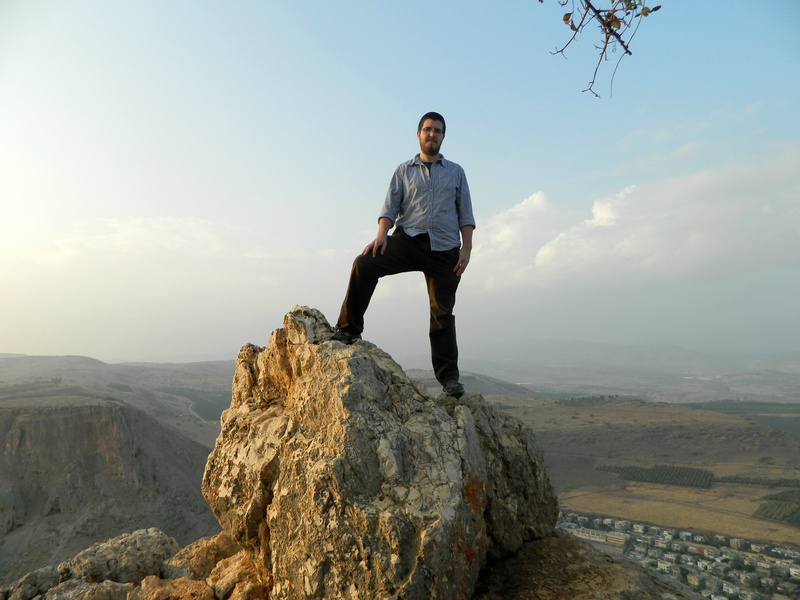 We reached Mount Arbel and then I noticed it was a national reserve, and that they had closed at 3:00 PM, a mere half hour earlier. Ditching the car at the gate, we valiantly strode in and were stopped by a park worker. He uttered words like “no”, “closed”, “tomorrow” but we would hear none of it. We complained that we were Americans and that we couldn’t just come back at the whim of it, that we drove up the mountain to see the view from the peak. More words of negativity but at last, when we were about to give up, he made a compromise. He would allow us five (5) minutes at this lower observation point and then we had to skedaddle. We thanked him, big smiles beaming at him, and hustled off to the observation point. Craggy rocks loomed up out of nowhere and the cliff edge appeared. 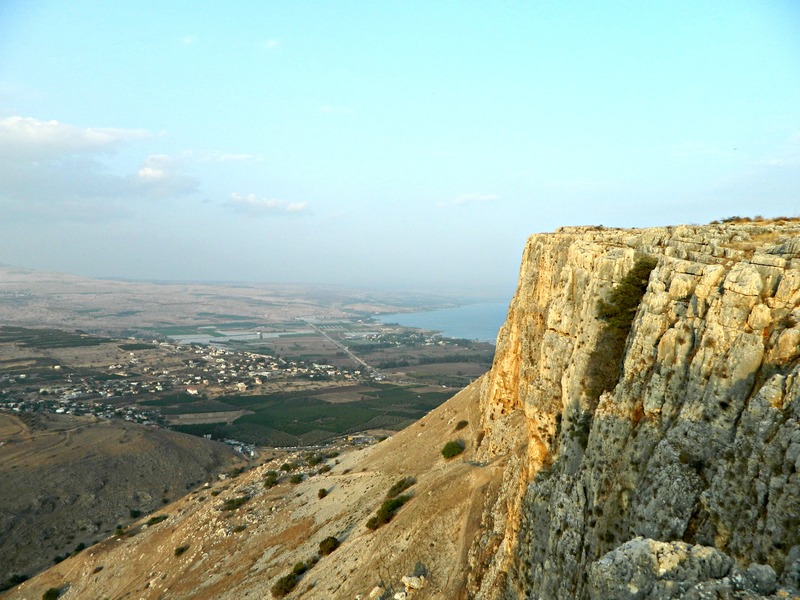 According to Wikipedia the drop from Mount Arbel’s peak is approximately 400 metres (1,300 feet) but that doesn’t seem completely accurate. It also states that the sheer rock drops down 110 metres (360 feet). Regardless, it’s a great drop and is the only place in Israel where thrill-seekers do base jumping. 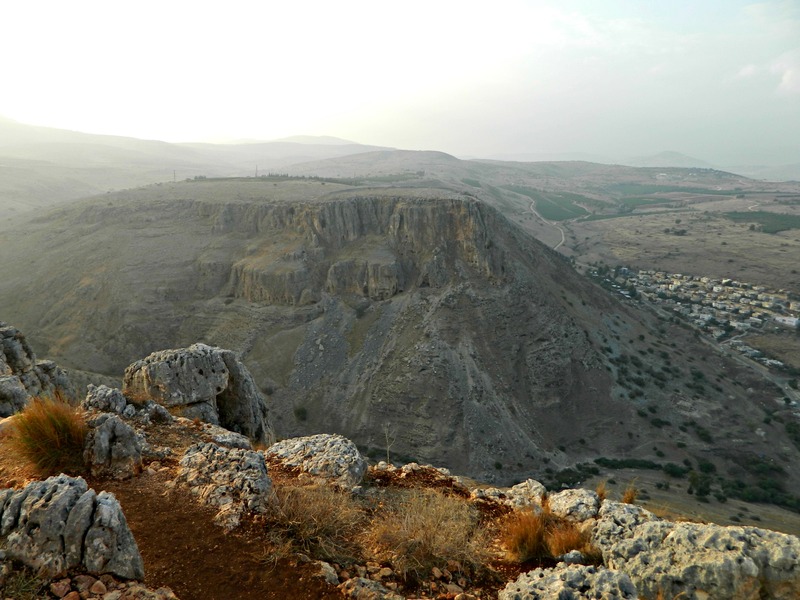 However impressed we were with the view, when we returned to the park worker he told us that it was nothing compared to the real Mount Arbel observation point. That just means that I have to go back one day… But the day was not done yet. 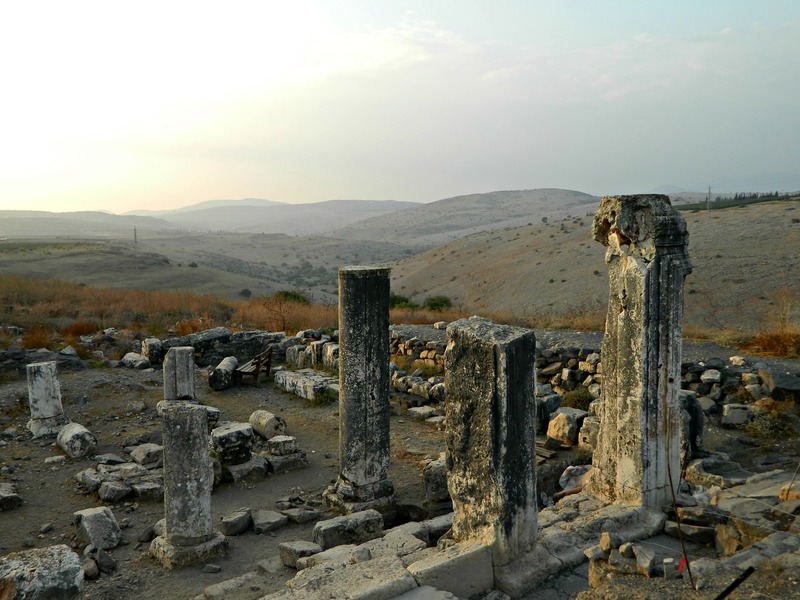 On the way back down we pulled into a tiny parking lot and walked a few hundred feet to the ruins of the ancient Arbel synagogue. 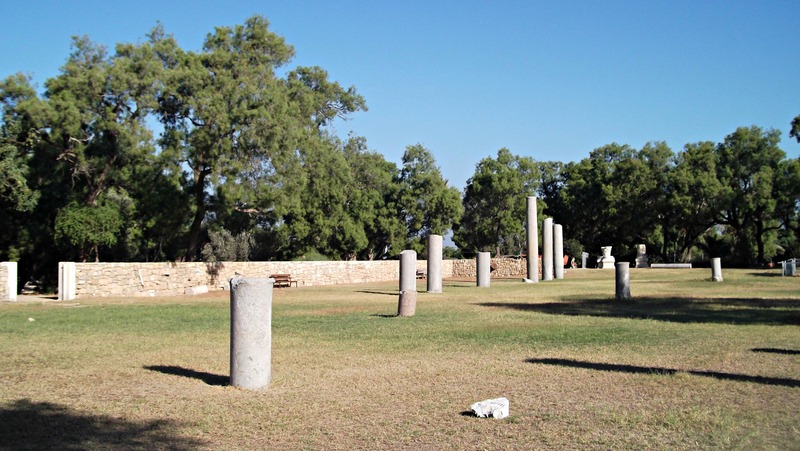 Columns and square building stones still remain but the general structure has been knocked down. We spent a few minutes at the synagogue, basking in the waning sun’s golden rays, and then headed back home. 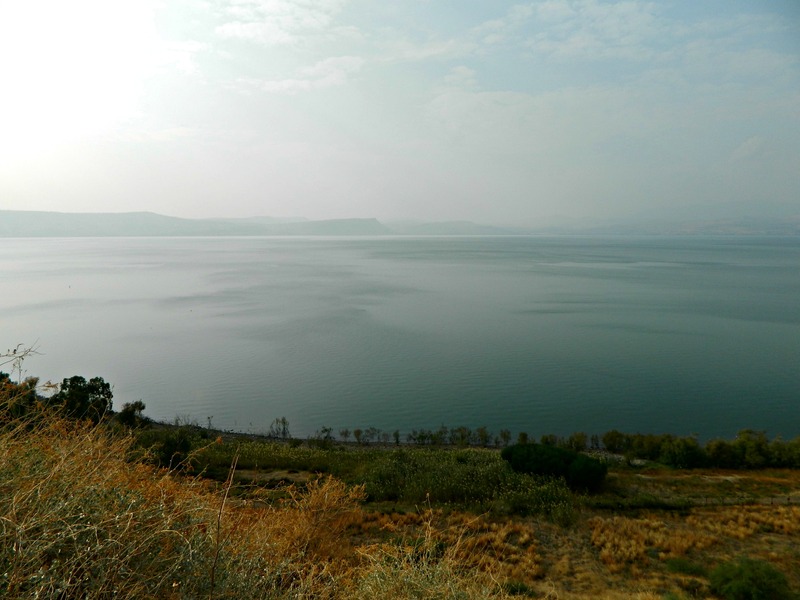 Just a few sites checked off from circling the Kinneret this time around, but yet so many remain and as such, so many more adventures await. 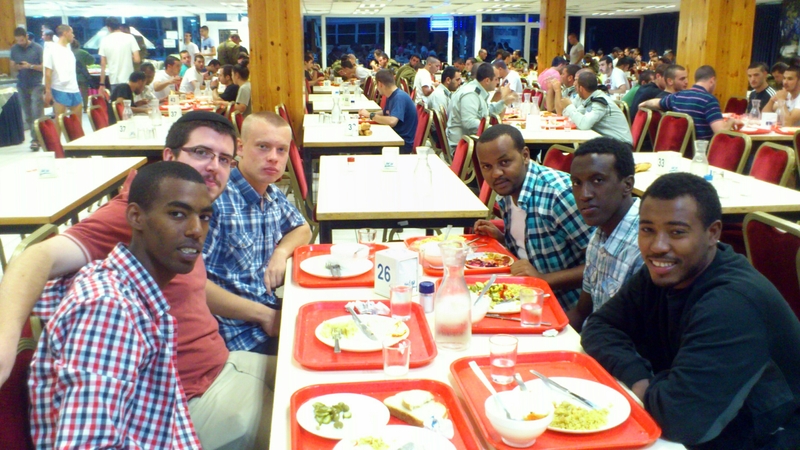 Last week began with a drive down to Ashkelon where I spent four days in an FIDF-sponsored army resort with a handful of fellows from my base and a whole mob of Border Policemen, Armoured Corp and Intelligence soldiers and some from the Navy as well (blog post here). 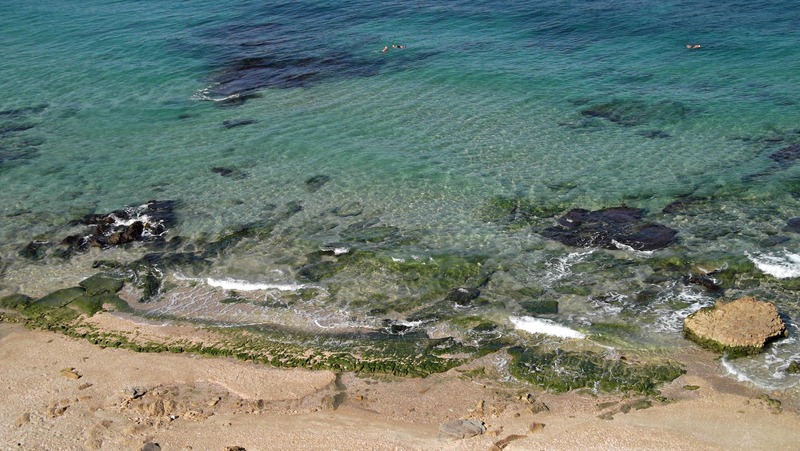 The resort is located at the southern end of Ashkelon, kind of close to the Gaza border, and pretty much borders the Ashkelon National Park (the subject of this blog post). Due to the fact that this R&R (Rest and Recreation) was held on an army-operated site, we weren’t allowed to wander off and explore. While waiting for the bus back home Thursday morning I recalled seeing the proximity of the park on a map and decided that, since I am so close, it would be a waste not to have a little adventure. And so I walked on over in my dress uniform and carrying my heavy backpack, bought a special soldier year-pass to all national parks and reserves for a nominal ₪50 (~$14) and headed on into the park. An interesting piece of trivia I read was that scallions, cousins of the onions, were named after Ashkelon, perhaps they were initially farmed here. 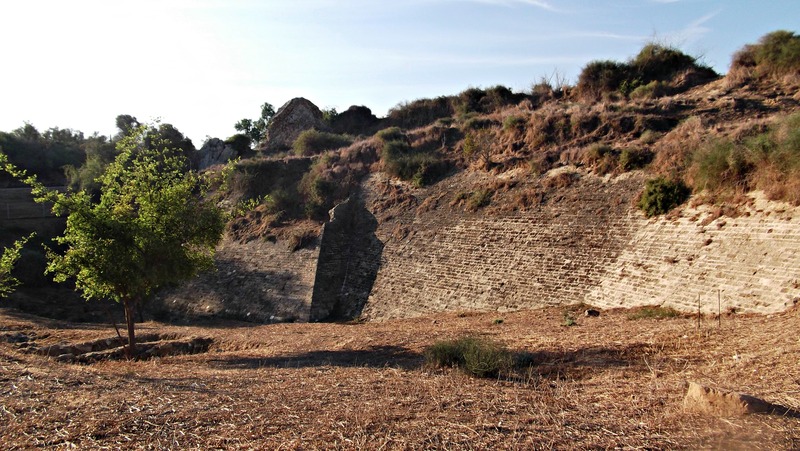 Back to the park, the first historical segment I came across was the Crusader moat wall built right next to the Canaanite gate, said to be the oldest gate in existence. Heading south to the main parking lot, I made my way by numerous outdoor water faucets which I presume are linked to the many natural wells located on-site. 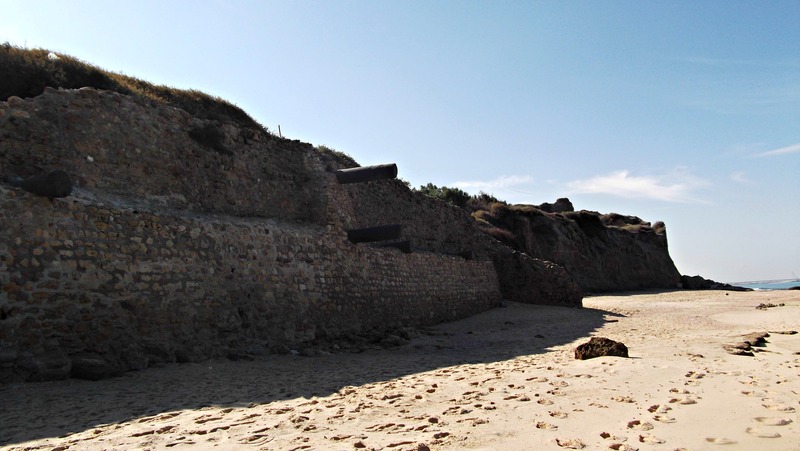 From the wells I descended to the beach and seeing that the real sites were further south, looped back and swung by the Basilica, built by the Romans. 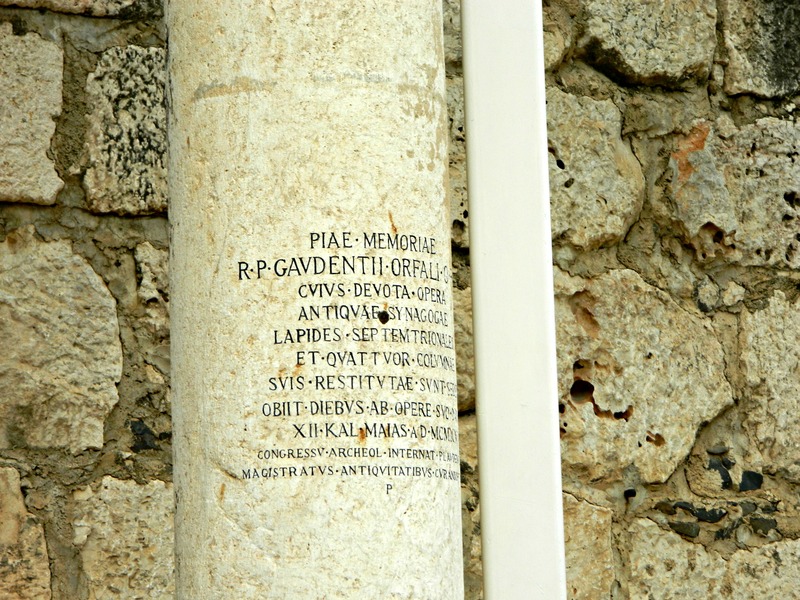 And nearby the pillars of the Basilica further excavations have been done, revealing more as to the nature of the Roman site. The excavations were originally started in 1815 by Lady Hester Stanhope in search for an alleged gold hoard buried under a mosque but when their efforts bore no golden fruit they abandoned the site. 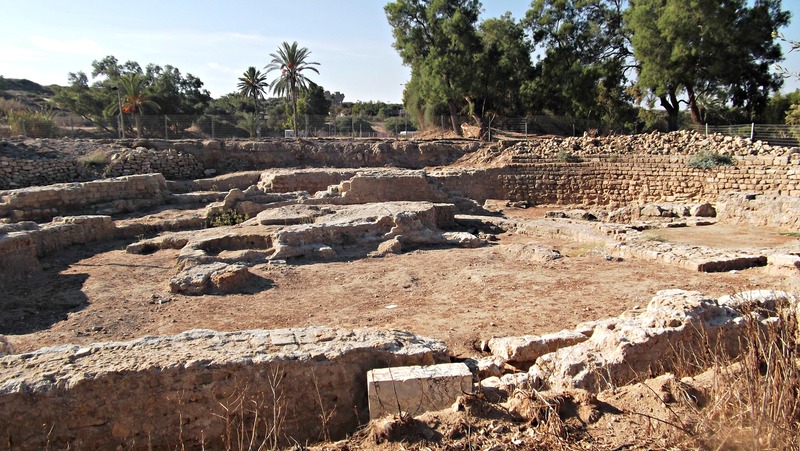 Later, in 1921, real archaeology came to the area and the British made headway into ancient Ashkelon’s past – the Canaanites, the Phoenicians, the Persians, the Romans, the Byzantines, the Muslims, the Crusaders and, of course, the Jews, all living in Ashkelon at one point or another. 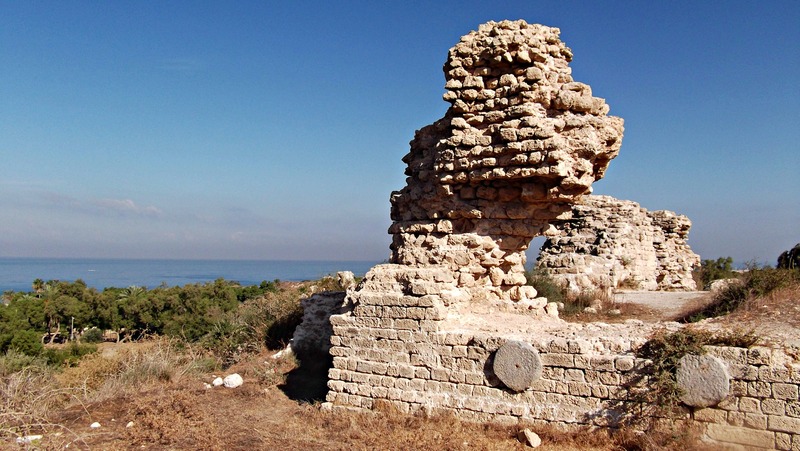 After the Basilica I headed to the outer edge of the park to walk the aptly named “Wall Walk” – a trail along the old wall winding around towards the sea. The wall in question was built by the Fatimid Caliphate and only scattered pieces are intact today. Built on a natural sandy ridge, the wall walk is elevated over the park, providing excellent views. 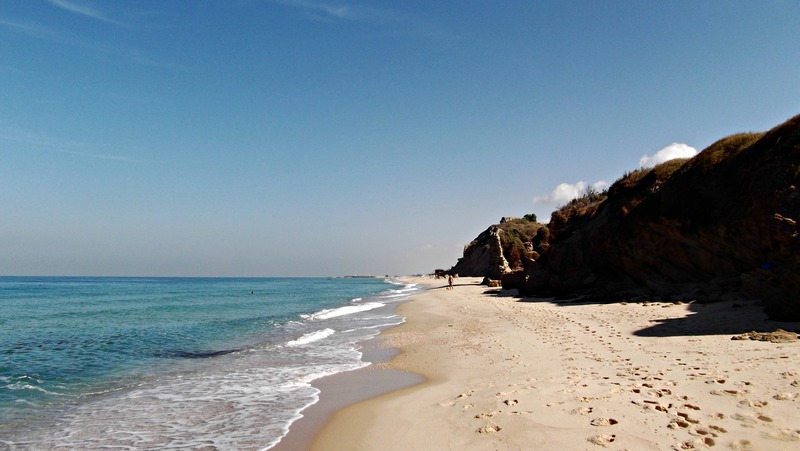 However, the walk itself was sun-baked and slow, each step in the thick sand a burden with my boots and heavy backpack on my shoulders. Photos do not do this place justice, the ruins on the brink of the water, the ruins within the water, all is too much to be captured on film. Perhaps an aerial shot taken from a helicopter might better illustrate the true magnificence. The ruined city must be seen in person. As I walked along the water, keeping close to the lapping waves where the sand is firmest, I found myself mesmerised by a tinkling sound. 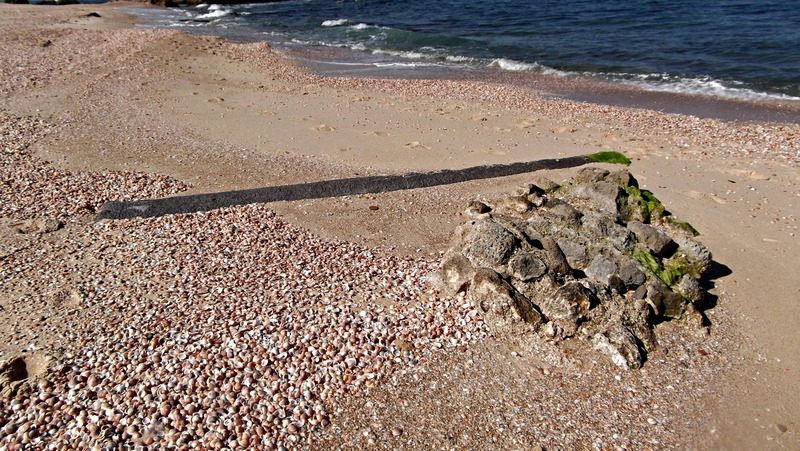 It was the sound of gentle waves nudging the mounds of pastel seashells, each shell softly clinking against the next. 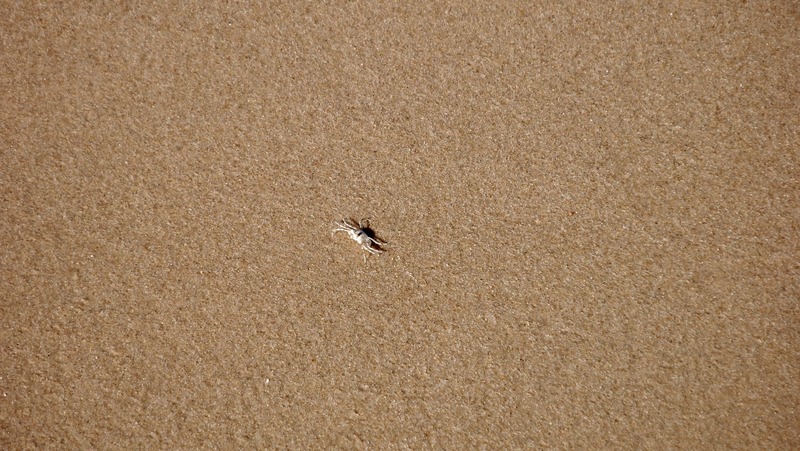 Then I noticed a little crab scuttling about and seeing that he had small pinchers, too small to ward me off, I tried to catch him. I was unsuccessful in my attempts. I climbed the stairs out of the beach and headed for the exit, filling up my water bottle and drinking heavily. As I neared the gate a park worker asked me if I’ve been drinking enough water. I replied in the affirmative and he correctly guessed which base I hailed from. Continuing further, I exchanged some words at the park entrance (including my water consumption) and witnessed something unusual. A man in a small pickup approached and said he has a delivery, some eagles. I peered into the truck and saw some vicious talons and some patterned wing feathers emerging from a sack – interesting cargo, to say the least. With that I bid them farewell and headed off to the bus where I was to begin my 5+ hour journey back home. 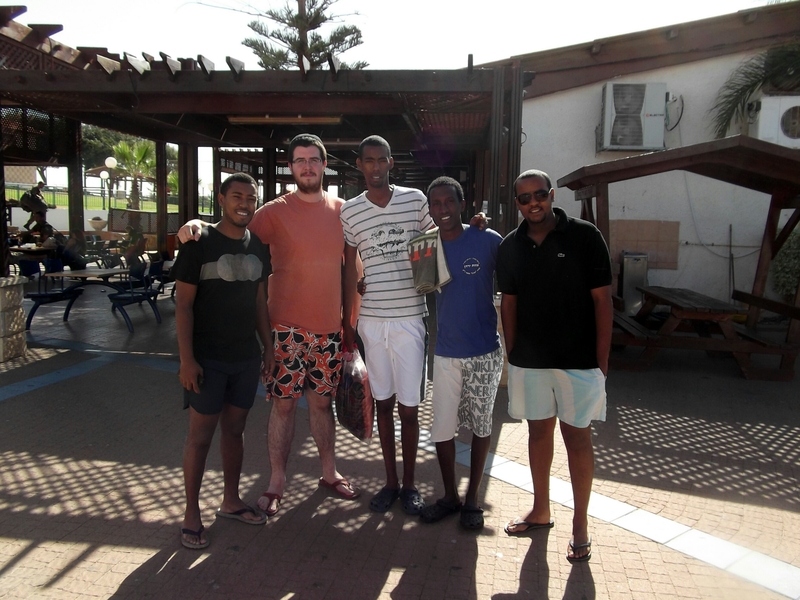 This double-event blog post covers two separate trips taken one week after the next to the FIDF’s Rest and Recreation Centre in Ashkelon. The FIDF, which stands for Friends of the IDF (Israel Defence Force), is an organisation that pools donations together for the benefit of the Israeli soldiers. 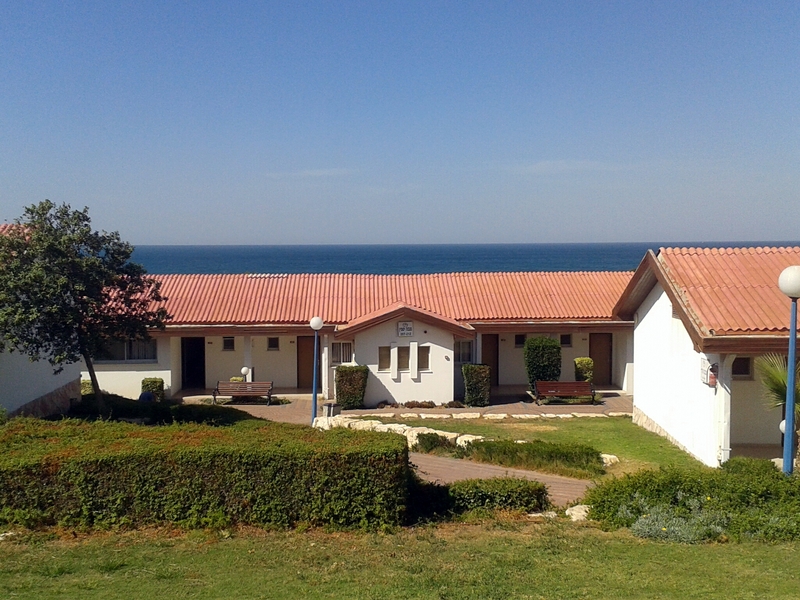 On every military base, and in every remote outpost, there are signs of the FIDF – be it a gym, mobile synagogue or “wellbeing centre.” That being said, this R&R centre in Ashkelon is another of FIDF’s endeavours to pad the rough edges of soldiering and I fully approve. It started Sunday morning, a few weeks back, when a small group of eleven soldiers from my base gathered together and drove down to Ashkelon. Our group comprised of truck drivers like myself, a commander and an officer. We disembarked at the centre, ate lunch and settled into our rooms in the Jasmine bungalow. 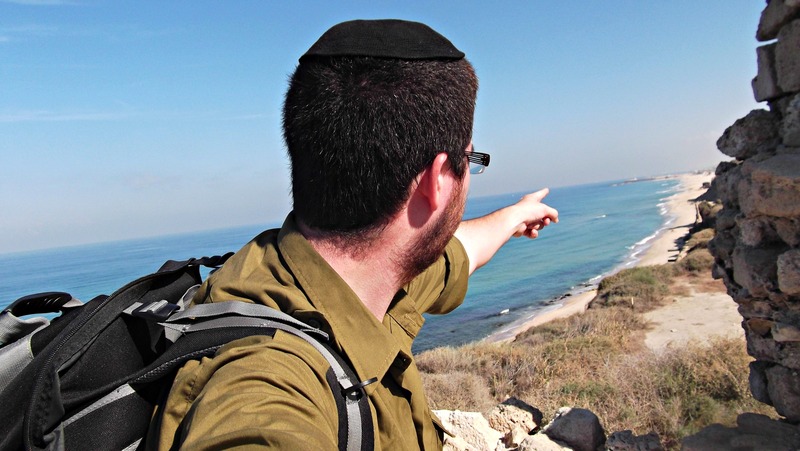 Nestled between modern-day Ashkelon and the ruined ancient Ashkelon, a national park, the R&R centre hosts hundreds of soldiers every week (usually combat or combat-support soldiers, like my friends and I). We walked along the sun-baked paths and explored our new digs, marking out activities that we’d like to do throughout the week. After dinner the fellas went to watch a movie in the auditorium while I, uncermoniously, went to bed early. The following day took us to the sauna and pool where we took turns roasting and drowning ourselves. 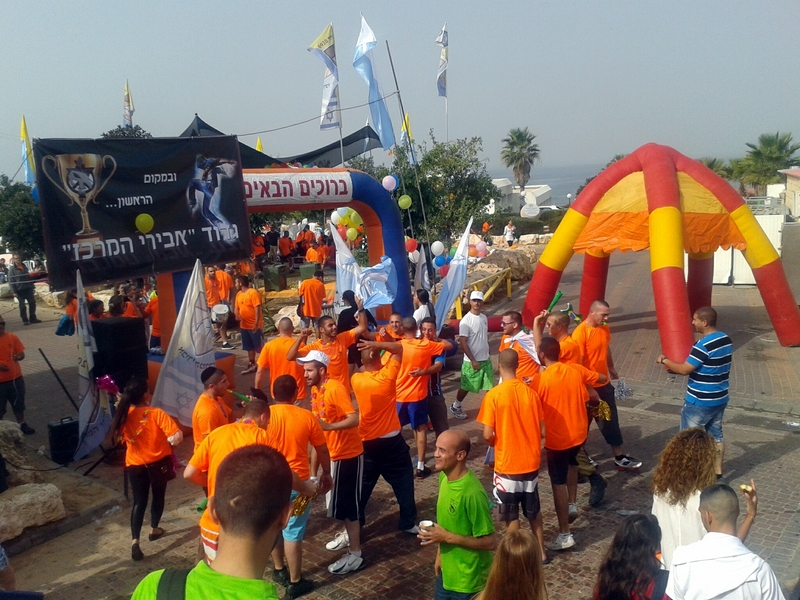 There was an organised race set up and, not surprisingly, the winner was from Shayetet 3 (Flotilla 3) of the Israel Navy. 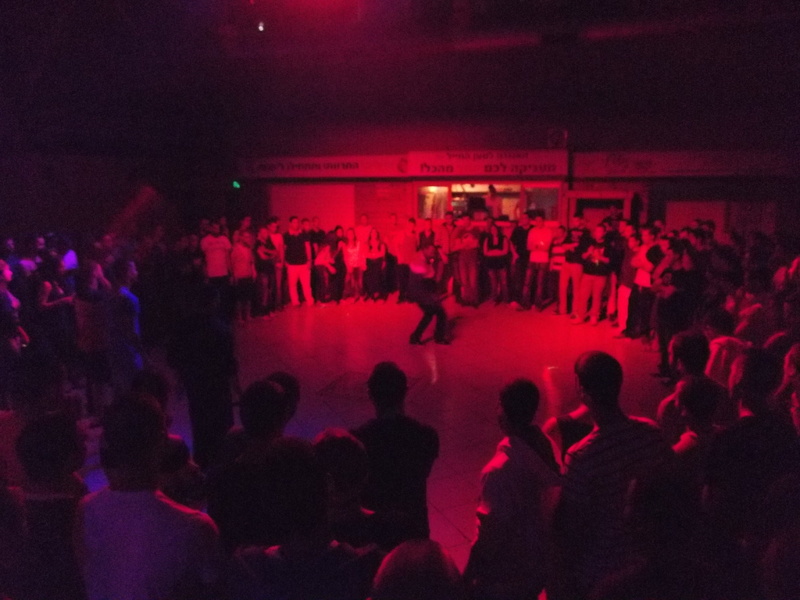 That night we found ourselves in the local “club” – an alcohol-free dance club with ear-piercing music thumping till 3am. There too an organised contest was held, this time dancing instead of swimming. A friend of mine participated, and while the judging was hotly contested, he was not deemed winner. The next day some of the fellas went off to play tennis and I went off to find fellow Americans – of which there were a handful, mostly in some Foreign Affairs unit down south. As the Jewish world is incredibly small and interconnected I succeeded in finding someone who knew someone I did. 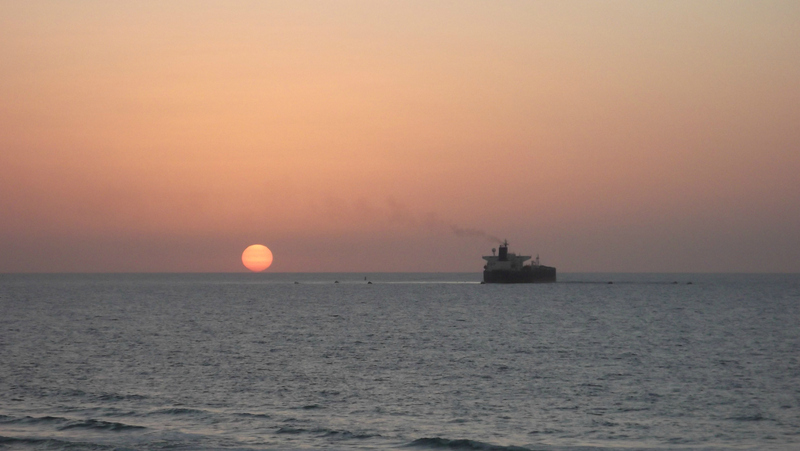 Later that afternoon I sat on a sandy bench and watched the sun set over the warm Mediterranean Sea, a ship chugging away nearby. Resting up well in the nights with the window open to the pleasant sea breeze and spending the days eating well, swimming, sauna-ing and enjoying the other activities on-site we burned up the week pretty quickly. The last night of R&R we all headed into the auditorium to enjoy a performance from one of Israel’s stand-up comedians, Kobi Maimon. There were some pretty funny jokes, to say the least. The following morning, Thursday it was, we packed up our things, tidied up, had a nice breakfast and headed out. 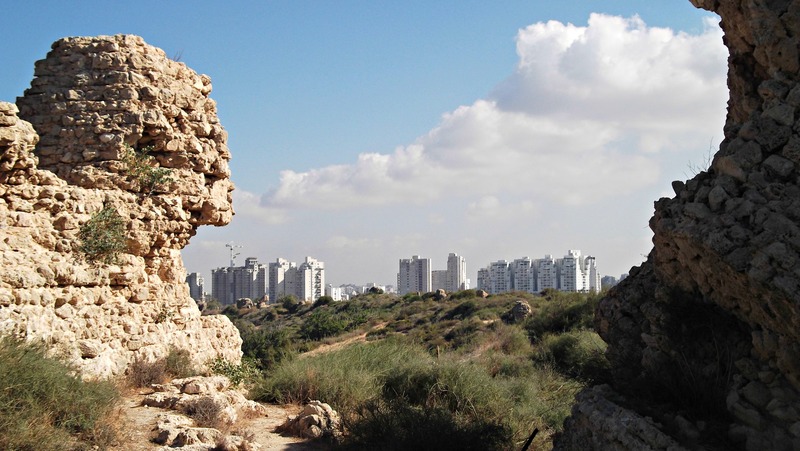 While waiting for the bus to the train, I recalled that the Ashkelon National Park was just a few minutes away. I hastily bid farewell to my friends and headed to the park, the subject of my next blog post. 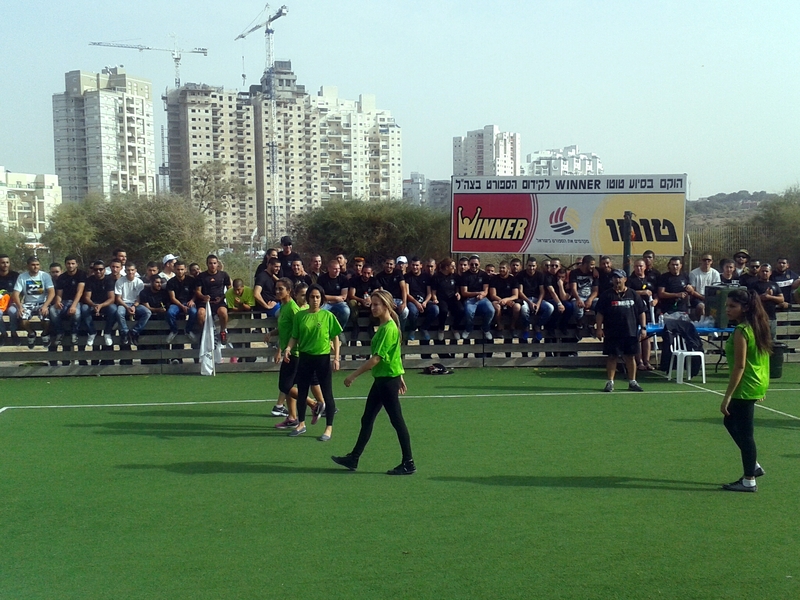 After positive feedback from our small hand-picked group that enjoyed the week of R&R at the Ashkelon centre, it was decided to host the truck driving brigade’s Yom Sport (Sport Day) at the centre as well. The purpose of the day is to break the daily grind and to offer the soldiers a chance to bond and to catch up, as we don’t see much of each other in our job. The three bases, Knights of the North, Centre and South, were present, each wearing a different coloured t-shirt. Sadly, I had forgotten my camera and so had to photo-document with my cell phone’s camera. From the over-bounding quantities of food to the noise of over a thousand happy people, mostly soldiers in active service, we got the day started with some opening words from the brigade commander, Colonel Gil Galron – a nice chap who originally was a naval officer. With that the day was launched into high gear, with numerous games to compete in and watch. One game that I observed was the Israeli-style dodge-ball competition between our base and the southern base. My captain participated and was, in fact, the last one standing from our team – we lost. Later, there was enthusiastic self-propagated singing and dancing from some of my base’s ethnic groups and as the sun went down, two small concerts out on the main soccer field. The first was a finalist in a singing reality show, and I got a free CD, and the second was a heavy metal band who didn’t have quite the right crowd at hand. After belting out AC/DC’s “Highway to Hell” to the joy of a select handful, they packed up their musical equipment and we all headed down to the buses, tired but grateful from a long Yom Sport at the Ashkelon R&R centre. Note: the FIDF is a wonderful organisation doing wonders for the IDF, if you’d care to become a part and donate, details can be found on their website HERE. For more information on FIDF’s SPIRIT R&R Program, click HERE.